Keep your pipes protected on the go with this simple, two-pipe case, replete with a pouch to ensure your favorite blend comes along for the ride. 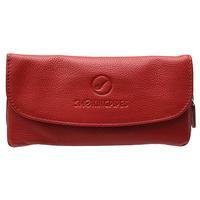 Offered in genuine leather in a number of colors, including this red rendition, and featuring the Smokingpipes.com logo. Good quality and perfectly done. I have a red one so it is easy to identify. 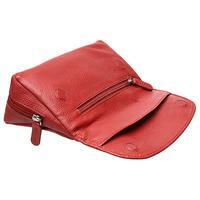 Deep tobacco pouch with two pipe room. For the price, well done!